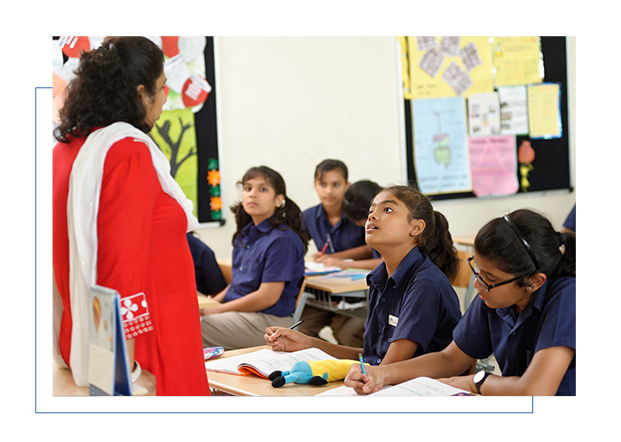 Indus World School follows the approach of providing regular feedback to the students and the teachers through continual assessments. The assessments are designed by a central team and delivered by each school. This helps in avoiding the conflict of interest, which most schools face wherein the one who teaches is the one who assesses. In the case of Indus World School, the one who teaches is not the one who assess the progress of the students. Students are encouraged, prepared and inspired to be a passionate lifelong learner and a productive invested participant in the local and global Community. We focus on 21st century skills to communicate, collaborate, critically analyse and create and ensure that such skills are being imbibed by the students in the process of learning. Our students are prepared to be well informed, are made responsible and aware citizens of our country and the world. The assessment is ongoing and year-long. It is based on activities, written and oral assignments, their cognitive levels and understanding. The progress profile of each student is maintained by breaking up the subjects into multiple skills and each skill is assessed on a continuous basis. Our teachers share a formal comprehensive and continuous detailed profile on each student, keeping track of her/his growth and progress. Since the parents are equal stakeholders in the holistic development of the child, they are involved fruitfully in each activity. The assessment is based on continuous and comprehensive evaluation approach. Each student is assessed on the basis of activities, written worksheets and oral assignments. Subject as well as skill-based assessments are done, and each child’s progress is recorded. A 5-point grading system is followed. A formal progress profile is shared with the parents twice in each academic year. The assessment has 3 components broadly following the continuous and comprehensive evaluation pattern: Regular Diagnostic Tests at the end of each topic are taken through tabs (from grade IV onwards) using our online platform. These offer instant result analysis and the teacher can get intensive feedback about each child, which is used to reinforce concepts. Formative Assessments follow the diagnostics. The formatives have a mix of pen-paper tests as well as activities such as Book reviews, Role-plays, Debates, Written quiz, Online tests, Dramatics, Group discussions, Symposia, and Projects. 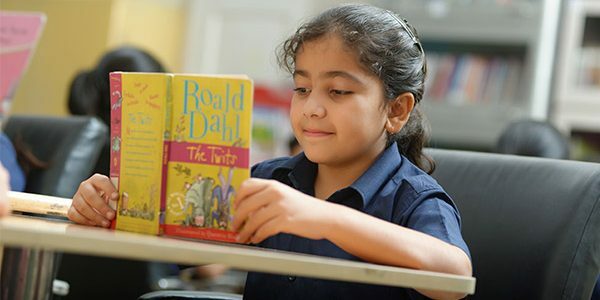 The projects at Indus World School are such that they add value to a student’s learning and are age appropriate and done by the respective student independently. There are two term end tests per subject to assess the Remembering, Understanding, Applying, Critically analysing, Evaluating and Creating. These are formal pen and paper-based tests. A formal progress profile is shared with the parents twice each academic year. Grades 9 to 12 have regular class tests at the culmination of every chapter through worksheets and Mind Mapping, capturing the learning levels to inculcate the habit of regularity. For classes 9 and 11, 4 periodical tests and two formal exams are conducted. For classes 10 and 12, there are two periodicals of 50 marks each and two term-end class. Assessments related to the specific preparatory programs like Engineering, Medical or Law entrance are conducted additionally by Career Development Centre. Regular counselling is provided to the students for various career options and how to get admissions.